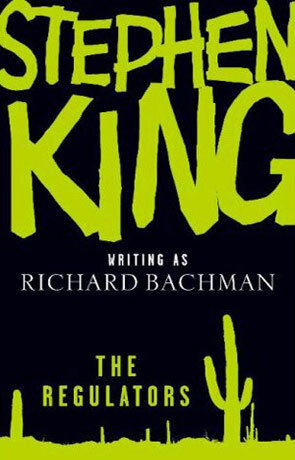 The Regulators is a novel by the master of horror, Stephen King. Released in the name of Richard Bachman. I'm not sure why he has decided to release it under the name Bachman, but I've theory that it is because it is a piece of crap. Small boy gets possessed by evil pyschic "thing". Boy watches too many old western series and kids action cartoons. Kid manifests mix of cowboys and space age cartoon characters and releases mayhem on peaceful street in small town. Lots of people die, lots of houses get destroyed. I didn't care about any of the characters and didn't at any time get that "wow I wonder what will happen next" feeling. This story was released together with the book Desperation (release under the Stephen King name) and they should be connected in some way, but I'm not sure that I want to read Desperation, having read Regulators. Written on 17th September 1999 by TC.